Susan Clark started playing the piano at the age of four and attended the Trinity College of Music Junior Department for ten years, studying piano, flute, violin and musicianship. She continued her studies at Cambridge University and while there performed extensively both as a soloist and accompanist. After graduating, Susan successfully completed a Postgraduate Diploma in performance at the Royal College of Music and was awarded an MA in musicology by the Open University. She has appeared as a soloist or accompanist at most of the major London concert venues, including the South Bank, St. John’s, Smith Square, Southwark Cathedral and St. Martin in the Fields. She has also played at the Edinburgh and the Aldeburgh Fringe Festivals and various music clubs in the south east and has performed at the Martinu Hall in Prague. In 2003 she performed a Mozart piano concerto with Trinity Orchestra, Harrow and in 2009 appeared with the Lincolnshire Symphony Orchestra playing Chopin's first piano concerto. 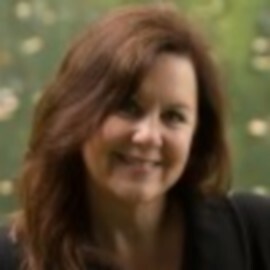 Susan has had three articles about teaching techniques published in the Music Teacher magazine. She has taught at Harrow School, Eagle House School, Latymer Saturday Music Centre and Wellington College. Susan currently holds posts as a visiting teacher of piano at Merchant Taylor’s School and Latymer Upper. She examines for the Associated Board in the UK and has completed many examining tours in the Far East including Malaysia, Singapore, Hong Kong and China. She is also an adjudicator member of BIFF and regularly adjudicates at music festivals around the UK. 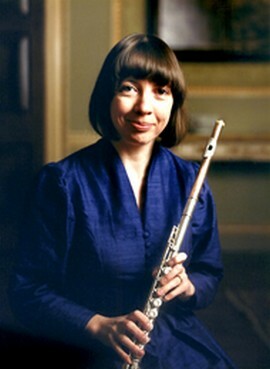 Christine Hankin studied the flute at the Guildhall School of Music. She now has a successful and varied career and is currently a member of both the London Chamber Orchestra and the Orchestra of St. Johns. As a soloist, she made her Purcell Room debut to much critical acclaim, and her recent CD "The Feminine Flute" has been extremely well received. She is well respected as a teacher and is Professor of Flute at the London College of Music and Brunel University, as well as director of the Ealing Flute Academy. Sarah-Jayne is an actress, acting coach and co-founder of award-winning children’s theatre company, Tucked In. As an actress she trained at LAMDA and with the Television Workshop. Since then her theatre work has included productions in the West End, at The National Theatre and internationally. Her work on screen includes the critically acclaimed Love Me Till Monday, Theresa vs Boris and Sherlock Holmes: a Game of Shadows. Several years ago she founded Tucked In, which continues to make original work that encourages learning, creativity and emotional development amongst the young and old alike. The company regularly tours nationally and has created work in collaboration with Greenpeace, The Lyric Hammersmith, Oxford Playhouse and Bath Theatre Royal. Sarah’s work with young people also includes mentorship and coaching for acting students at LAMDA and at Scene and Heard – a charity in North London. When not performing, Sarah coaches actors independently in acting, speech and drama, Shakespeare and public speaking as well as for companies including LAMDA, The National Youth Theatre, The National Student Drama Festival, Dramatic Resources and The Education Group. She has been a panelist and course leader for the NYT and LAMDA and regularly leads workshops and courses. 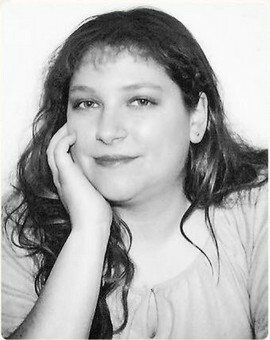 She is also an adjudicator for The Playing Space’s North London Festival. Elsewhere, Sarah works regularly as an on-set acting coach for major film studios, including Fox Searchlight, Universal and Disney, where she specialises in working with young actors. Recent releases include Goodbye Christopher Robin and the upcoming feature films, Tolkein and The Nutcracker and the Four Realms. She is currently the acting coach on Universal’s The Voyage of Dr Dolittle starring Robert Downey Jnr. 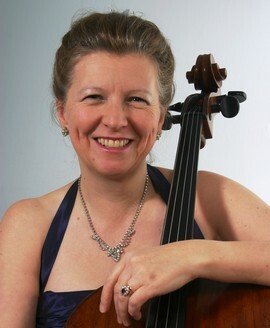 Lesley is a ‘cellist, pianist and singer who combines performance with teaching. As an Associated Board Scholar she studied at the Royal Northern College of Music, then in Germany in the Masterclass of Antonio Janigro. Lesley has given cello, baroque cello and viola da gamba concerts throughout Europe and Latin America and, since playing with ‘The Fires of London’, has pursued her commitment to contemporary music including several first performances. She has recorded works by Charles Camilleri and a recent compilation entitled ‘Cello In Song’. Lesley is an Examiner and Mentor for the Associated Board, as well as an Adjudicator for The British and International Federation of Festivals, and has adjudicated for the National Chamber Music Competition and the Deutsche Jugend Musiziert. 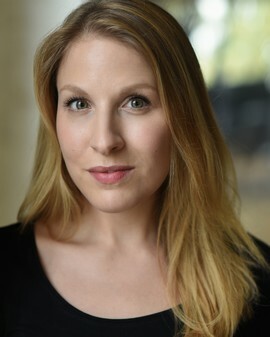 Sarah Jefferies is a graduate of the Royal Academy of Music where she studied with Patricia Clark and Josephine Veasey. Whilst at the Academy Sarah won many prizes, ranging from Lieder to Opera and English Song, whilst also being the recipient of the Ann E Lloyd Scholarship to fund her post graduate studies. She was an active member of the Opera chorus, singing several leading roles. After leaving the RAM, Sarah studied in Amsterdam with Margret Honig and Elly Ameling and began a long period working at the Opera D'Lyon, whilst undertaking recitals with the pianist Paul Turner, as well as oratorios and concerts all over Europe. Highlights of a busy career have been Cantaloupe's 'Song of the Auvergne' at the Edinburgh Festival, and performances of Schoenberg's 'Moses and Aaron,' Puccini's 'Madame Butterfly' and Orf's 'Carmina Burana' with the LPO, under the baton of Kent Nagano. Sarah enjoys teaching immensely. She is fascinated in the complex working of the vocal mechanism, and has been an adjudicator for the British Federation of Music Festivals for the past five years now, where she finds herself in great demand to judge singing competitions all over the country. She is a visiting singing teacher to Marlborough College in Wiltshire, where she teachers all standards of student from Grade 1 to Diploma, firmly believing that everyone should be helped to find their voice. Sarah also enjoys both working with and conducting choirs, as well as giving many well received master classes. A professional soprano soloist, Nicola-Jane teaches choral scholars at Clare and Queens’ Colleges, Cambridge University and in 2015 was made Head of Singing at Eton College with responsibility for individual lessons and choir coaching. As an opera soloist she has worked for companies as diverse as Music Theatre Wales, the Festival d’Aix-en-Provence in France and BBC Radio 2 (Friday Night is Music Night). Her concert work takes her all round the UK – including the South Bank, Barbican and St John’s Smith Square in London – and to the Middle East. As well as being an Adjudicator for The British and International Federation of festivals, she is a Grade and Diploma examiner for the ABRSM, vocal consultant for The London Youth Choir (founded by Suzi Digby) and also teaches for the National Youth Choirs of Great Britain. She taught for many years at St Paul’s Girls’ School – a centre of excellence for LCM Music Theatre Exams and is co-editor with Heidi Pegler of the award-winning series ‘The Language of Song’ (Faber Music), which provides a resource for students and teachers learning to sing in foreign languages. She has organised Master Classes and a new solo singing competition at Clare College, Cambridge, and sits on the council of the Association of Teachers of Singing.